The ELCJHL Schools and Educational Programs are the educational ministries of the ELCJHL, designed to meet the needs of the Palestinian people as a whole. In embracing and empowering students and families in the region from all religious, economic and social backgrounds, the programs provide the opportunity to live and to learn under the Gospel of Jesus Christ. As each person is created in the image of God, the freedom and dignity of each person is inviolate; we are thus called to accept each other’s gifts, talents and weaknesses. To mold and reinforce the national and Christian Palestinian identity. To reinforce and support the role of women in Palestinian society. 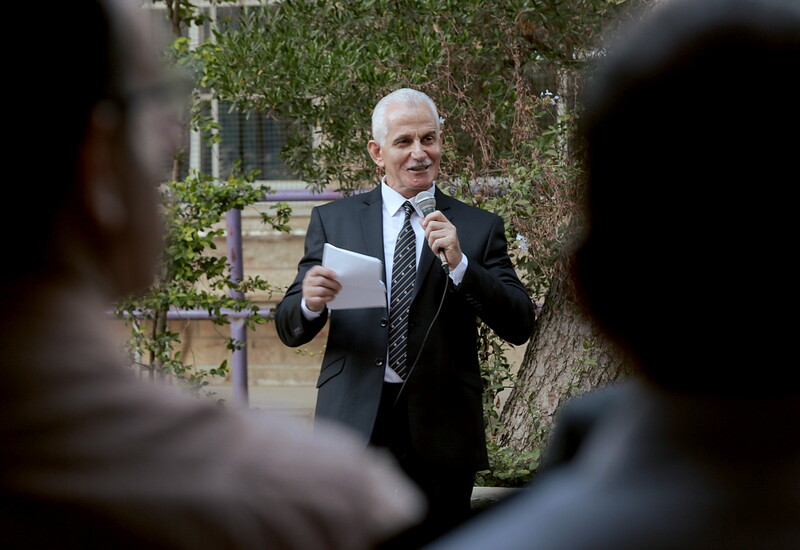 Under the leadership of Dr. Charlie Haddad, ELCJHL Director of Education, the ELCJHL Schools and Educational Programs pursue the mission of providing a happy, productive, and safe environment for students, teachers, administrators, support staff and parents. The participation of students, families, and staff is essential to creating a true school democracy and a sense of community and ownership by all. Parent and student councils play a key role as we pursue our strategic goals and adapt to the evolving needs of the Palestinian community. The ELCJHL Schools and Educational Programs employ nearly 200 educators in full and part-time positions as teachers, administrators, support staff and social workers. Nearly all faculty and staff are Palestinian, and most come from the Bethlehem, Ramallah, or Jerusalem areas. Many grew up attending our Lutheran schools. Most teachers and administrators have Bachelor’s degrees from local or international universities, and many have pursued Master’s degrees in education or in their fields of specialization. Based at the Martin Luther Community Development Center, Mr. Salameh Bishara, and international volunteers support the Director of Education in offering enrichment for educators and administering the development of the educational ministries. Recent workshops have addressed non-violent education, the use of children’s literature to enhance the English curriculum, and current theories of kindergarten education and learning.